The article, in the journal Growth and Change, studied the listing prices of 4,832 condo units in Hamburg between 2002 and 2008, and measured their distance to places of worship. The study controlled for variables such as access to jobs, neighborhood quality and property type. They found other interesting things as well. Most notably, similar effects have not been studied here in the U.S., so there’s that. However, they found that the bump came regardless of religious affiliation, and that houses within 100 yards of the church saw no appreciable increase in price, for some reason. “It’s something we find for other amenities, as well,” said Wolfgang Maennig, a professor at the University of Hamburg Department of Economics and Social Sciences and co-author of the report. He likens the price bump to perks such as proximity to public transportation and sports arenas. That might be the most telling anecdote as to why this is the case. 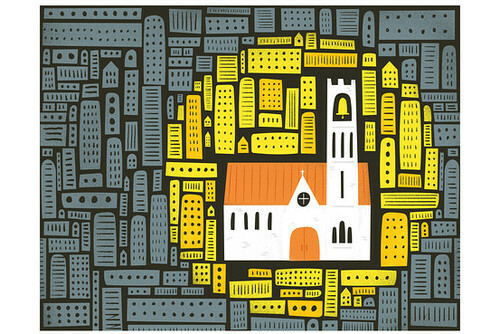 For centuries, churches have served as community centers. As cities grow, desirable things tend to pop up near their centers, and as desirable things go, so do home prices. Obviously it’s not easy to uproot and move either your church or your home, but it’s a good reminder that people still value religious institutions – quantitatively, in this case. The offering time is often one of the most overlooked parts of the church service. Many pastors feel awkward about that time or go into autopilot as they rush to get through it.